…and then spend over 5 hours on the ferry. 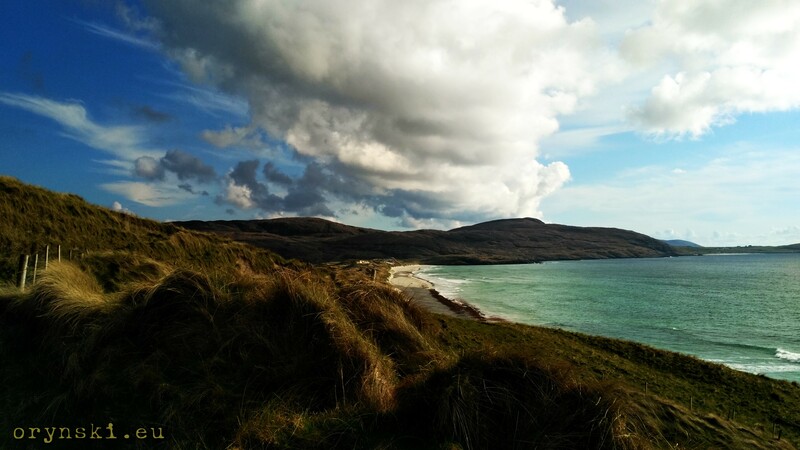 Go with me to the southern tip of Outer Hebdires archipelago – to Barra and Vatersay. 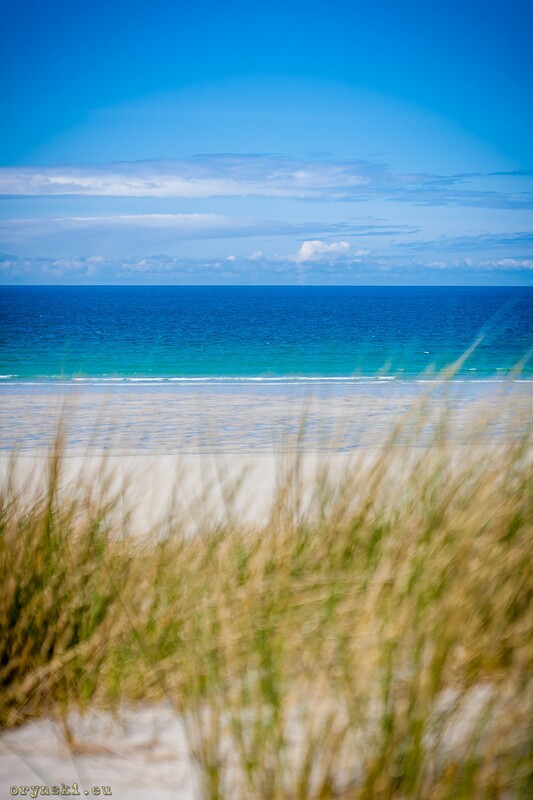 Visit to Barra requires to have some time set aside – you cannot go there as a day trip. Weekend might also not be enough – if not for it’s beauty then for the fact, that there is usually only one ferry per day going there from Mainland – and staying in Castlebay overnight. 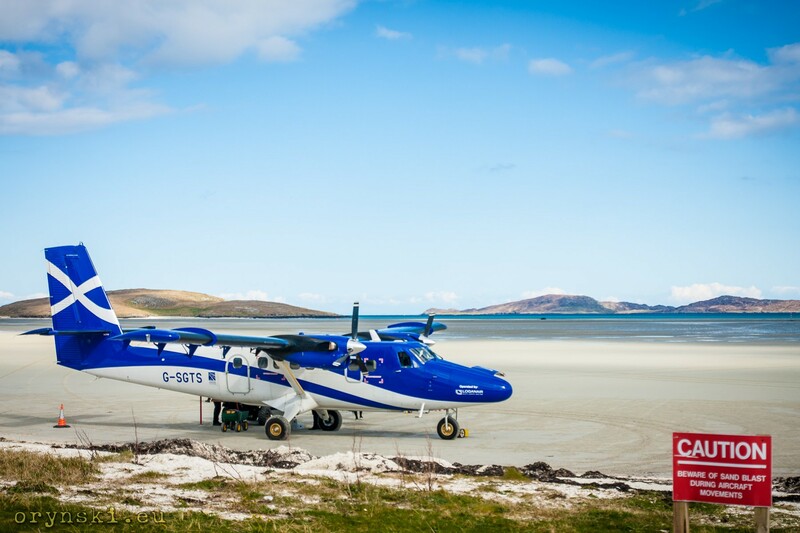 You can get to the island as well by plane from Glasgow, of via small ferry from Eriskay, which is, in turn, connected to South Uist by the causeway. But majority of visitors arrive to Barra via ferry from Oban, which is a great attraction on its own: the ferry navigates the narrow straight separating Isle of Mull from Ardnamurchan Peninsula. 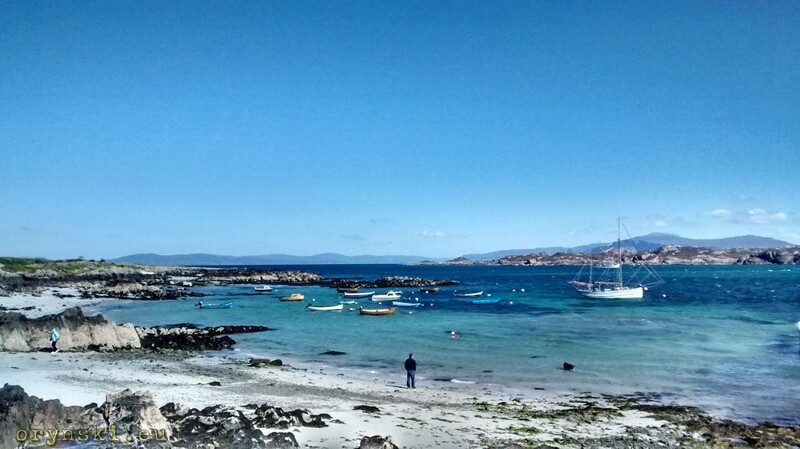 Therefore to have chance to see anything on the island, one should plan to stay on Barra minimum two nights, which would give you one day for the journey there, one for the journey back, and one to explore the island. After approx. 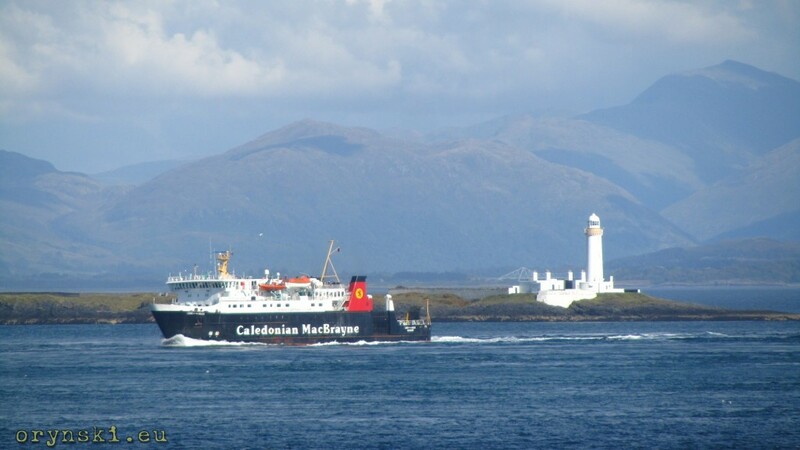 3 hours the ferry will pass Ardnamurchan Point – most westerly point of British mainland – the ferry takes to the open water. Here is a good time to make use of your binoculars – on the left, in a distance you will able to see fantastic shapes of smaller islands such as Treshnish Isles or even, for a while, Staffa. The ferry will pass isle of Coll much closer, and Tiree will be hiding behind it. On the right, the Small Isles – Muck, Rum, Eigg and Canna – will pose for pictures on the dramatic backdrop of the mountains of Skye. 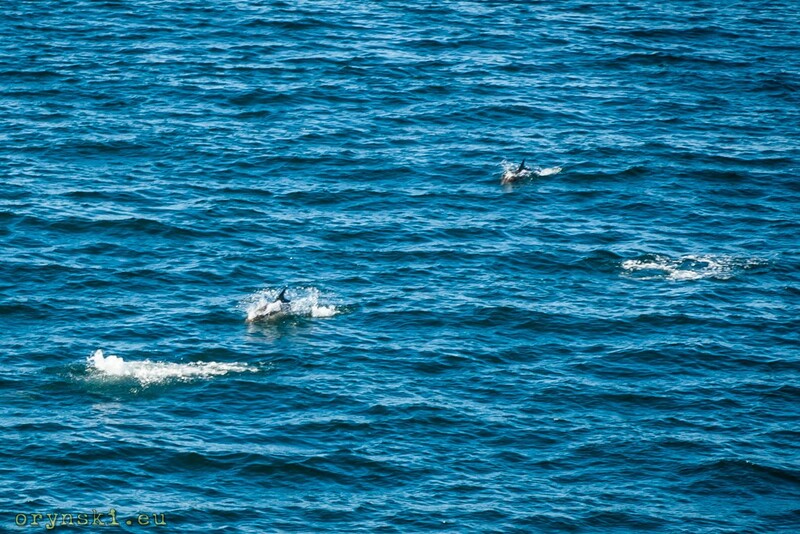 But sometimes take a look at the water nearby – it is very likely that you’ll be able to spot dolphins playing in the waves around the ferry. Near the evening we will finally reach our destination – initially the ferry will be aiming between Barra and Vatersay and only later it will make a sharp turn right – this will be the moment, when panorama of Castlebay will open to us. 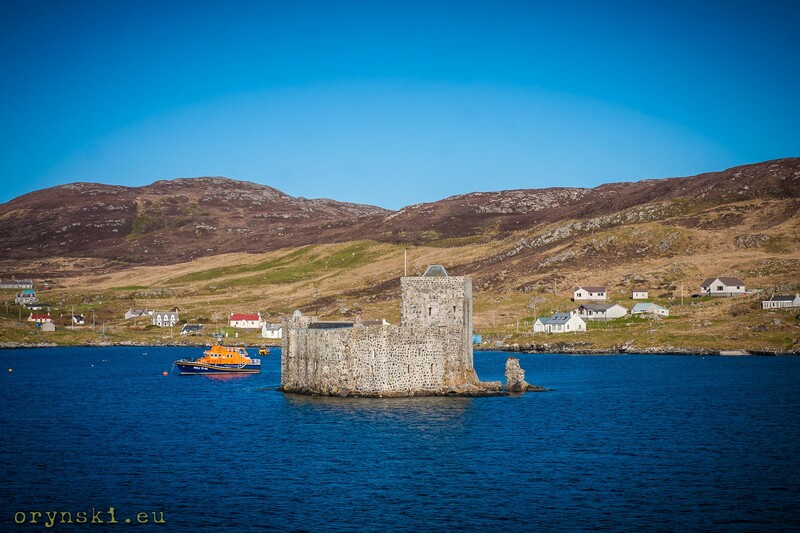 The iconic Kisimul Castle will leave no doubts – we are on Barra already! Kisimul Castle is one of Barra’s two main tourist attraction: this medieval stronghold arising from the water is said to take it’s current shape around the first half of 15th century, but the rock on which it has been built is said to be fortified few hundred years earlier. The legend says, that the castle sits in place where there used to be a small chapel build by Saint Ciaran himself. 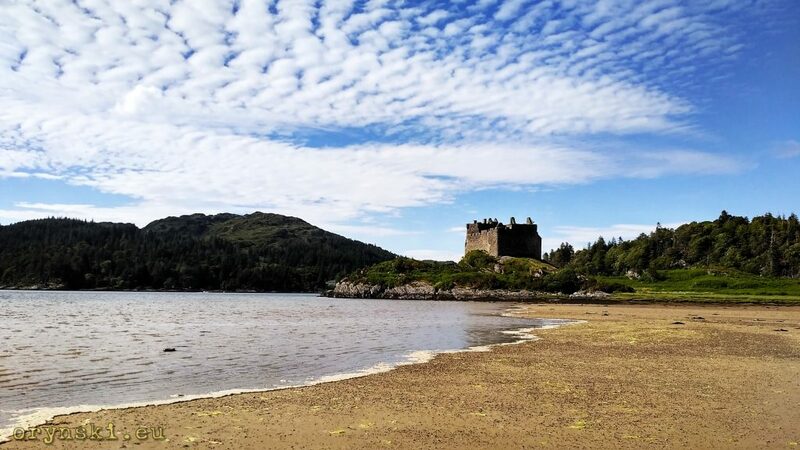 One thing is sure – Kisimul castle is well worth a visit. It is not possible to get to it on foot, even during low tide. Luckily Historic Scotland, that takes care of the castle, provides a small ferry. The castle itself is surprisingly cosy inside, although the decor is pretty raw. Allegedly this wasn’t always the case. The castle owners, Clan MacNeil, were taking advantage from their remote location, and allowed themselves to do some piracy here and there. According to the legend, there was always plenty of best wine and goods from all over the world, taken from the unfortunate ships passing nearby. Along the banks of the bay spreads Castlebay: biggest settlement on Barra and the only one, that can be, with some grace, considered to be a town. 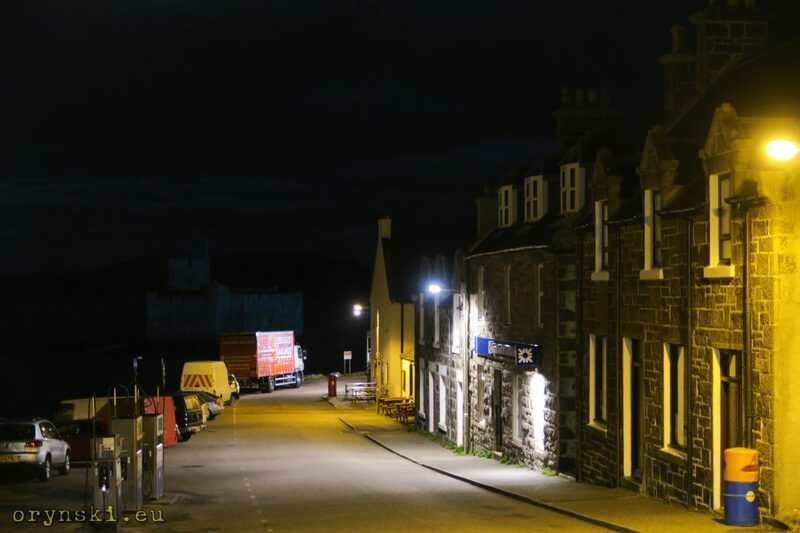 The Calmac Ferry towers over the houses build along its main streets, reminding us how little Castlebay really is – and we have to remember, that it is hardly a big ferry in terms of modern sea transportation! Some of the readers might recognize this cute street – and they will be right. 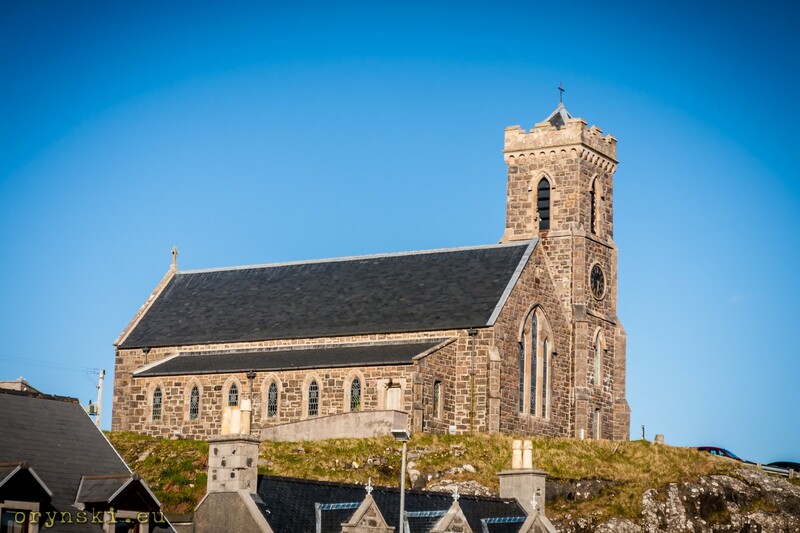 While the events described in the classic Scottish movie “Whisky Galore” took place on nearby Eriskay, the movie itself was shot on Barra. Another recognizable object, that can be remembered from this cult classic, is the church overlooking the town. It is a Catholic church of Our Lady Star of the Sea. 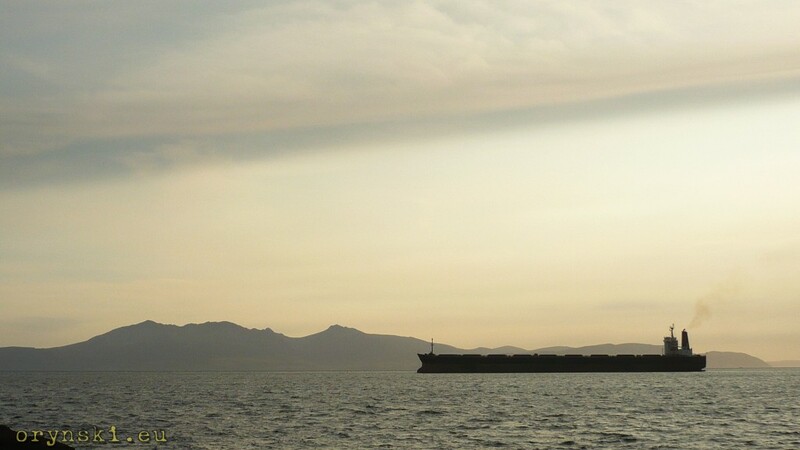 It is suprisingly big as for such remote location – but there is a reason for that. A hundred years and more, Castlebay was a major centre of the herring industry. It is said, that when all the boats came back to the port, one could go to Vatersay by simply stepping from one of them to another. To day very little remains of that heritage, apart from some abandoned quays and educational walk along the water. Castlebay is served by a national A-road: A888. If we take it to the west, we soon find ourselves back in Castlebay from the east. It won’t be a surprise to anyone, that if we leave Castlebay towards the east, we will soon arrive back to where we left, but this time from the west. Yes – the whole road network of Barra contains the loop of A888 with some side roads branching from it. One of such roads will take us from the junction on the outskirts of Castlebay to the causeway to Vatersay. It is the only surrounding island that is still inhabited -the ones south from it – Sandray, Pabbay and Mingulay – have been abandoned for nearly a century. The biggest problem there was lack of safe havens, which meant that on occassions the islands were cut away from civilisations for weeks at the time. 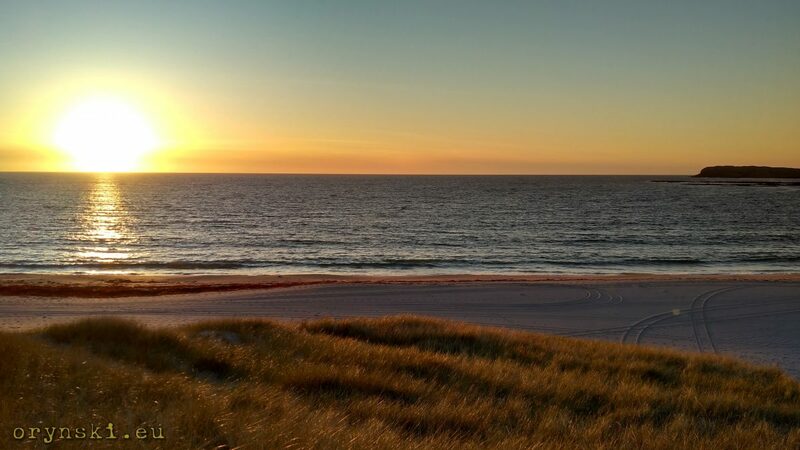 There is a legend about two brothers who came to Barra – one left to America, the other, after saying farewells, wanted to do some shopping and go back home. Few months later the first guy came back from America and found his brother still stuck in Castlebay, as weather made it impossible to land any boats on their home islands. 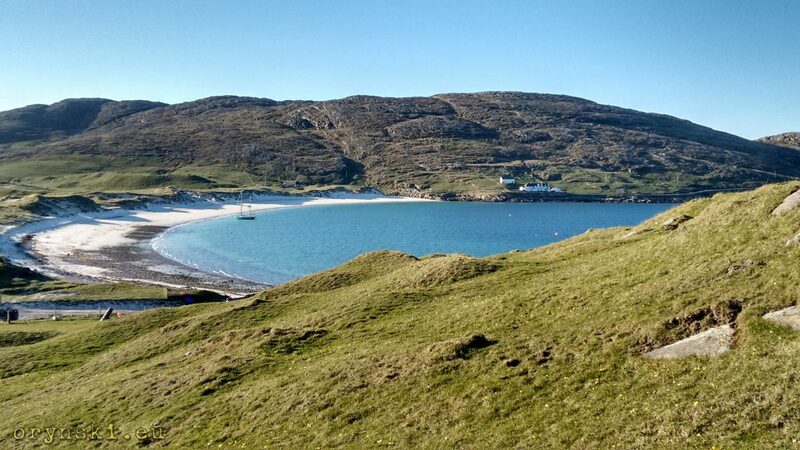 The small communities have to face such risks for centuries, finally, after most work capable men of Pabbay died in the storm in 1897, gradually inhabitants of the smaller islands left their homes and moved to Barra or Vatersay. 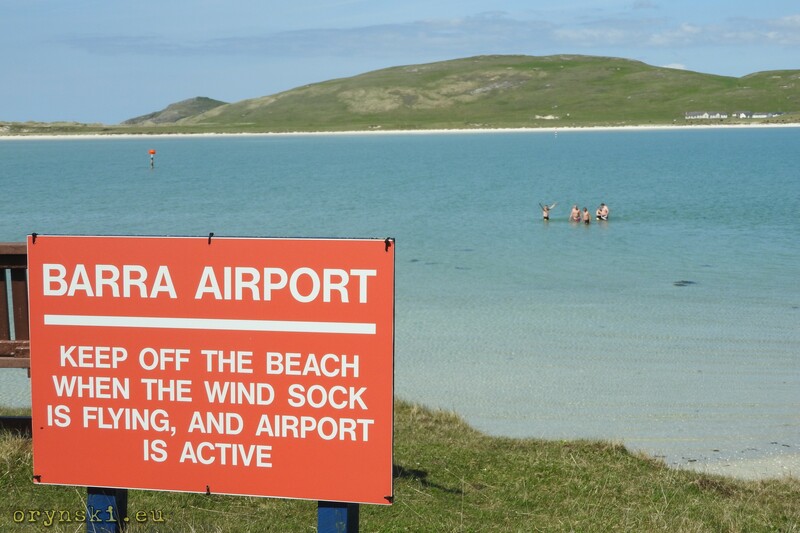 Vatersay is famous for its beaches. One can, like Little Prince, who was moving his chair to watch the sun setting down over and over again, spend the whole day on the beach facing the sun and the water at the same time: the southern peninsula of the island is surrounded by beautiful beaches from east, south and west. Barra can serve as a starting point to explore the rest of the chain of Outer Hebrides. But it can be also a destination on its own, which can be a very good idea, as while it might require the longest ferry crossing, the island itself is small enough to be explored on foot, so you can leave your car in Oban (there are several options for free parking within the walking distance from the ferry terminal). Those who don’t like to walk too might want to use local buses, but I have to say their timetables seems to be most guarded secret of the islands. Even locals are unable to provide any information about them, apparently you are unable to make heads or tails out of it without having PhD in science and the bottle of Whisky on your side. But don’t worry, as Barra is a hitchhiking paradise: friendly locals will literally go out of their way to make sure you are get to where you want to be. But if you don’t want to bother them, don’t worry, you can hire a bicycle on the island. Unless it’s raining. Because when the weather is not that nice, there is very little to do. There is a small fudge factory and gin distillery in Castlebay, one can also find a few souvenir shops, a post office, a library and a swimming pool there. There is also a small heritage centre, but as for may 2018, it is open only on three days of the week, 4 hours each. The castle will also be unavailable to visitors during bad weather. Planning trip to Barra it is worth to remember, that, unless we go by the plane, the journey there and back will take us almost the whole day each. Therefore one should plan at least two nights on the island. Those travelling by car, who don’t want to continue to Eriskay, Uists and furthrer north, might consider leaving car in Oban – it will allow them to be more flexible and, for example, if the weather forecast will not be promising, return to the mainland earlier than planned. It could not be so easy with the car, as during the tourist season travelling with the car might require booking in advance.